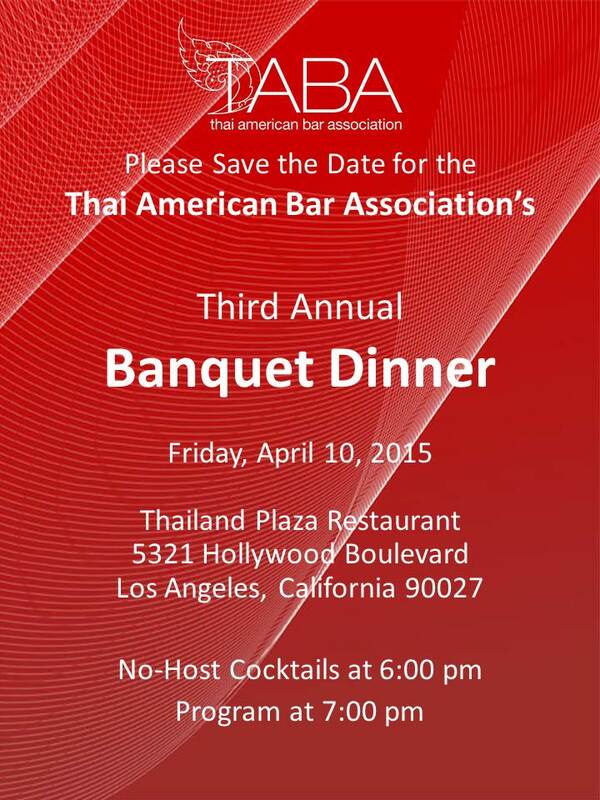 Please save the date for TABA’s third annual banquet dinner on Friday, April 10, 2015, at Thailand Plaza Restaurant in Thai Town, Los Angeles. Our keynote speaker will be the Honorable Paul C. Lo from the Merced County Superior Court, the first Hmong-American judge in the U.S. More details to come. We look forward to seeing you there!